This is a regular in every Kerala household. On my recent vacation, I had ethakka appam from almost every house I visited and everybody had different ingredients for batter…..but all were yummy. Recently I saw a food show on TV and the highlight of one small shop was that they sold only ethakka appam….and the batter was made only with urad dal paste as batter. I have yet to try that. Make a batter of the above (1 or 2) with water. 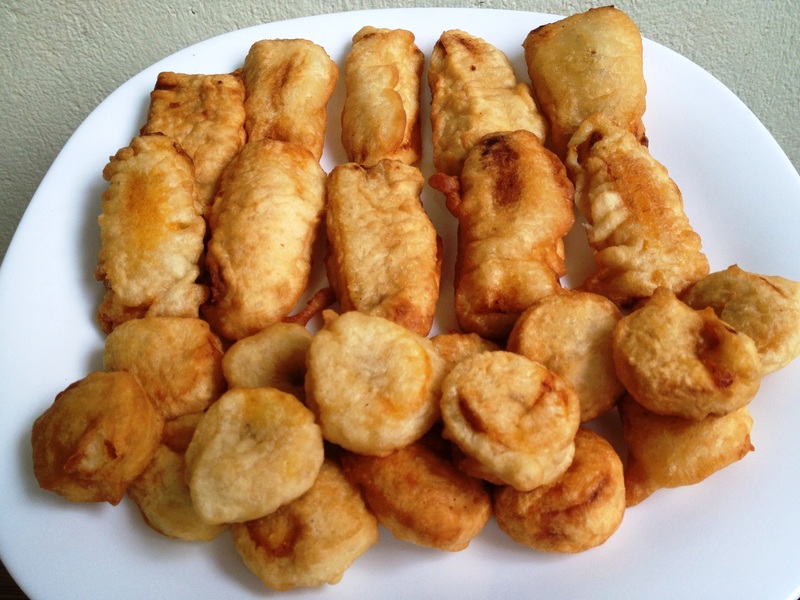 Dip the ethakka in batter and drop carefully into hot oil. Deep fry till both sides are golden brown. 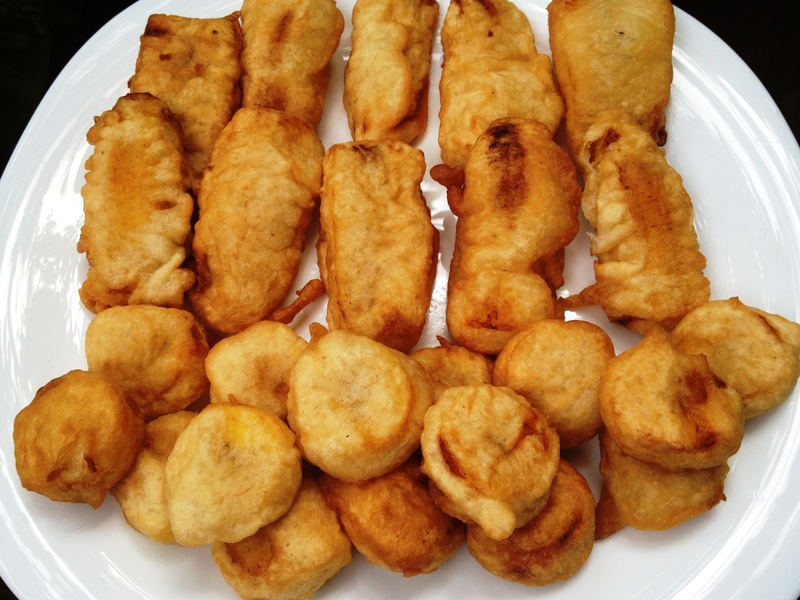 This entry was posted in Snack and tagged banana fritters, ethakka appam. pazhampori by PriyaBaby. Bookmark the permalink.